She thinks that she can be president, but I think that star is setting on one (former) Native American. Oh, she'll be there on the stage with the other 46 people who are seeking the Democrat Party nomination. Wild horses could not keep her from the pulpit as she spew her views. But racial appropriation has become an issue. 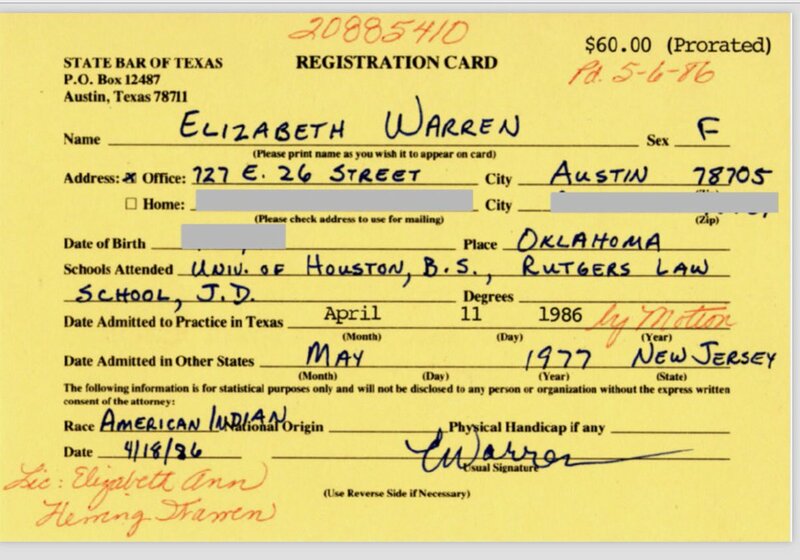 And everyone now knows that she's a fake Indian. It was a good run. People gave her jobs and she made a lot of money on the back of that Indian legend. But now she's a sideshow attraction and isn't ready for prime time. She's many moons old, she's vile in so many ways, and the wants to be leader of the free world. And while I muse about how karma ran over Senator Warren's dogma, here in the early days of the Year of the Pig, isn't it interesting how some of the progressives are self-destructing? All the fun that they thought they'd have advocating killing babies, which is very politically correct these days, seems to have run a little wrong. I know, "my body-my choice", but I think that killing a baby as it's being born healthy and full term, for fun and profit, strikes most Americans as being wrong. Don't get me wrong, the research labs will be buying up all those dead baby bodies to experiment on and I'm sure that they'll pay top dollar. Getting paid for dead baby bodies is very progressive. Just ask Planned Parenthood. I've definitely witnessed changes already since the pig took over. Maybe there's a message in there somewhere. I'd like to stay and chat about Karma but I haven't got all day and she'd only come back and belt me again. Killing full term babies is not acceptable. Period. Killing a baby is murder. I don't know how else you define it. Killing a CNN reporter is possibly something less. I've heard people call Warren "Walking Eagle," a bird too full of $hit to fly, but I think eagles are too majestic to describe her. I like "Shitting Bull" better. A full term abortion is murder, most foul. I think that Warren's viability as a national candidate is over. She doesn't know it, but it is. I'm confused. Race, like gender, is a construct. Maybe Warren needs to campaign as an Indian MAN. The real question is whether or not Michelle Obama will run as a male candidate - or will the charade continue? It's more progressive to be a woman so maybe she'll stay in character and stand on the stage with half a hundred other wanna-be's. Agree with all said here. 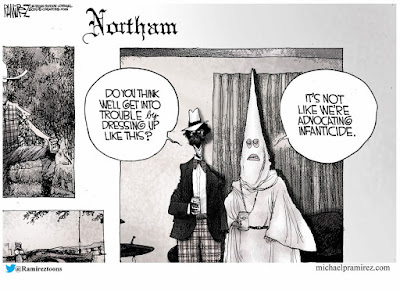 it is coming to light that northam fudged a little on his resume as well. opposed assault rifles due to the many wounded he saved in desert storm, only he was in far rear hospital in Germany that never served the wounded, and was a pediatrician. He has a lot of company in the Democrat Party. They're a bunch of mountebanks. Sometimes Warren says something that makes sense. Not often, but on occasions. Abortion. In general I don't think any man should tell a woman what she should do with her body. That outlook gets strained with infanticide and body parts sales. WSF, a stopped clock is right twice a day. I don't think that the fake Indian is right that often. We disagree on abortion, particularly when the baby is viable outside of the womb. It's a living baby. When you kill it, you kill a person. I have a granddaughter who was born at one pound, and she's fine, now five years old. The abortionists would have gloried in her death. I dislike Pocahantas even more than Hillary! . I'm not convinced that a lot of _adults_ are people, but I agree that the anti-abortion side has a reasonable and consistent position, and might be somewhat less sociopathic than I am. On the other hand, *something* has to keep Keith Richards alive, and how are we going to do it without baby hearts? I have no idea what keeps Richards' heart pumping. I always thought that it was a steady supply of 18 year old groupies and single malt. I don't know who I hate more: Pocahontas, or Hillary. They are both as evil as hell, and lie like dogs. Well, for Sen. Warren, she speak with forked tongue, I want her to understand my concern about her lack of integrity and honor. American Indians held honor as sacred, and once you lost it, you were toast within the tribe and might as well end things. I wish Sen. Warren would do the right thing. 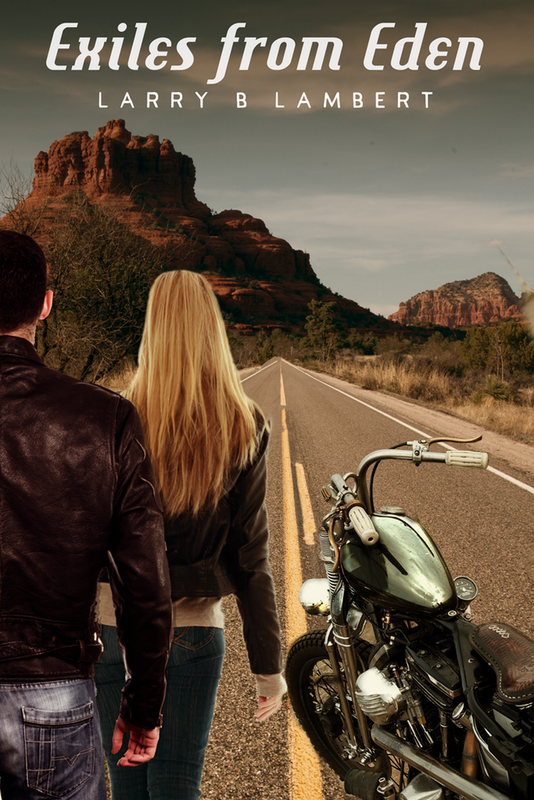 She's not going to walk in front of an express train going 75 mph and take that trip to the happy hunting grounds even if it would satisfy honor. She's not going to take the short sword and do the four cuts, and watch her guts spill out no matter the atonement factor. 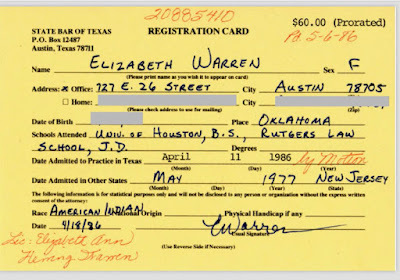 She'll remain in the US Senate, pulling pay for no work, being a general doofus, complaining that American Indian is a state of mind, not a race. Keith Richards is an alien in a skin suit... Re the dems in Virginia, now the top three are all in trouble for 'something'... It's possible the new governor may end up being the Republican speaker in the state senate! Ha, that would give new meaning to "hoist by their own petard" ! Keith Richards is from the same planet as Hillary, and it's not Earth. Agreed that if you cut him, he'd bleed green goo... I sense grist for a new Sci Fi novel.